The Great Colorado Weed Experiment – Cannabistical: of or concerning cannabis. Legal, Safe and Taxed This is what the people of Colorado voted for overwhelmingly in amending the State Constitution in 2012 “to regulate marijuana like alcohol,” a shrewd frame that placed a major social shift firmly in the no-brainer category. The promise of Amendment 64 is a flood of tax revenue for education, drug abuse prevention and research — with as much as $40 million for school construction every year, and $10 million for studying marijuana’s therapeutic and medical benefits. In a state where medical marijuana has been legal since 2000, doing little evident harm, the move to legalize recreational use was seen by most voters as a sensible next step. Though Gov. John Hickenlooper opposed Amendment 64, he admits that the debate is over — that this is a good-government issue now, and his administration is trying to making legalization work. The state government began the year well prepared, swiftly erecting a system to regulate the new business and to enforce the web of laws that strictly limit where you can use cannabis, who can buy it and how products are made, marketed and sold. A digital inventory system tracks every plant “from seed to sale.” The law forbids public consumption and selling to those under 21. (Stings by state regulators recently found 100 percent of targeted shops in Denver and Pueblo complying with the underage law.) Police are cracking down on nuisance public-smoking violations but aren’t wasting time chasing otherwise-law-abiding users. To keep stoned drivers off the roads, the state is expanding to 300 the number of law-enforcement officers trained as “drug-recognition experts.” Combating drugged driving is complicated, because there are no instant roadside tests for marijuana and results might be meaningless anyway; regular users can have blood concentration levels of THC, the psychoactive ingredient in cannabis, well over Colorado’s legal limit of five nanograms per milliliter and drive perfectly well, and marijuana can be detectable weeks after a high has worn off. Research on the dangers of mixing marijuana and driving is scant, but so is evidence that legal cannabis makes the highways more dangerous. The Colorado State Patrol reported in April that fatal crashes in the first quarter of 2014 were down 25.5 percent from the year before. The Problem of Edibles Cannabis advocates were caught off guard in the first months after legalization by complaints about the risks of overdosing on cannabis-infused food and drinks. Thanks to high-potency oils, a single chocolate bar or bottle of soda can contain enough THC to get several people high. An unwitting user may not realize this until an hour or two after eating or drinking too much. A handful of emergency-room visits by children sickened by edibles prompted the state in May to tighten the labeling laws, requiring products to be clearly marked as marijuana. Last Thursday, it enacted an emergency rule requiring edibles to be divided — or easily dividable — into single servings containing no more than 10 milligrams of THC. But how to label single pieces of candy or keep tempting sweets away from children are lingering questions. Legalization opponents have seized on two highly publicized deaths in Colorado possibly linked to edibles — a visiting student ate some cannabis cookies and jumped off a balcony; a man is accused of fatally shooting his wife after ingesting marijuana candy and possibly painkillers. But these anecdotes fall short of a persuasive argument for renewed prohibition, and there is still no evidence that THC, even in large amounts, is even close to being as lethal as alcohol or tobacco. To discourage minors from using marijuana, the state is spending $17 million on youth prevention and education. An ad campaign aimed at 12- to 15-year-olds, who are seen as more open to persuasion than older teenagers, is being unveiled this month. It will focus on marijuana’s potential risk to growing brains, using props like giant rat cages and the slogan: “Don’t be a lab rat.” The state says its deterrence campaign is honest and scientifically sound. Still, some critics are skeptical, citing a long history of ineffective antidrug campaigns and a century of hysteria and shaky evidence about marijuana’s dangers. 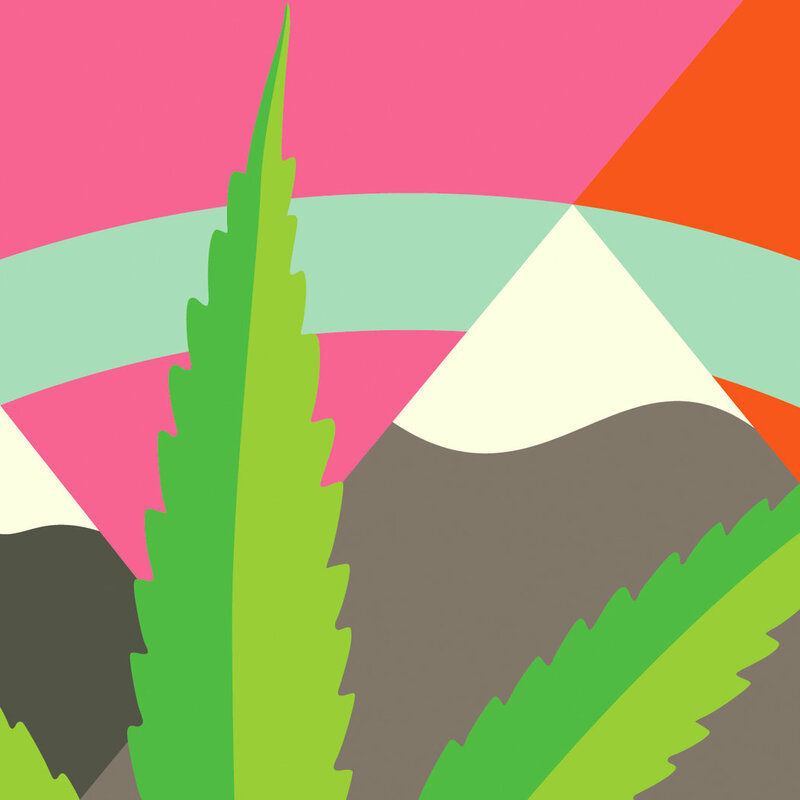 Lessons Beyond the Rockies “The Colorado model of medicalization and legalization is a model that is designed around continuous input and continuous adjustments,” said Christian Sederberg, a lawyer at a Denver firm dedicated to marijuana law and advocacy. Other states will be keeping a close eye on those adjustments. Washington State, which approved legalization by a ballot initiative in 2012, got its first recreational dispensaries in July. It is following a different model, with far stricter controls on advertising and public displays, and a tight licensing process that, so far, has allowed relatively few marijuana stores to open, with limited supplies at very high prices. How well legalization will drive out illegal operations in Washington is not yet clear. Seattle has such abundant and cheap black-market weed, pot shops may end up being only a tourist novelty. Thirty-five states and the District of Columbia have laws allowing some form of medical marijuana. Alaska and Oregon will put full legalization before the voters this fall. Industry lobbyists are hoping to have legalization initiatives on ballots in up to six states in 2016. Advocates are trying to make California one of them. It was the first state to legalize medical marijuana, in 1996, and thus has the longest history with an open cannabis culture. Many call it de facto legalization, because medical marijuana ID cards are laughably easy to get. While California’s experience shows the downsides of ineffectual laws and lax enforcement, it has not turned the state into a story of rampant addiction, crime or community upheaval. Support for full legalization there has grown as dire predictions of disaster, made over two decades, have not been borne out. A similar dissonance exists in the Netherlands, which for years has tolerated — though never legalized — recreational marijuana, in order to separate users of soft drugs from users of hard-core opiates. Its system is an awkward mix of tolerance and criminality. The country’s cannabis cafes have to rely on black-market weed, and as cities have grown weary of pot tourism they have tried, in the face of great resistance, to restrict use to residents. Uruguay, meanwhile, recently became the first country to regulate marijuana growing and selling nationwide through a system in which the price is state-controlled and everyone involved — sellers, distributors, buyers — must be a citizen and licensed by the government. The goal is to end the narco-traffickers’ monopoly and drug violence. The success of this approach, and applicability to the United States, has yet to be shown. So Far, So Good Beyond the challenges of edible cannabis and parental anxiety, the problems facing Colorado are mostly prosaic and fixable — or out of its hands. At a cannabis conference in Denver in June, some panelists were asked to consider “existential threats” to their industry, like the danger that some future crackdown could send them all to federal prison. They ruefully acknowledged that possibility, but expressed hope that momentum in the states would soon become unstoppable, sweeping even the executive branch and Congress in the right direction. For now their experiment remains firmly on the rails, and moving, along with public opinion, toward a future ever further from the failed war on drugs.